Even before the Amsterdam NOORD park opened on 24.7.17, rumors had already spread of a new “superpark” being built in the Dutch capital city. Well, the rumors turned out to be true and the opening was christened by a demo from the Nike SB team. The skatepark quickly gained a reputation as being a leading park in Western Europe, which, of course, we also had to judge for ourselves! Thanks to our good connections with Rob Roulaux, one of the park’s builders and fellow photographer, a team of Titus shop riders and Titus Tornados rider Candy Jacobs got the park all to themselves on a Monday to test it out. In the summer, our crew took a closer look at some new outdoor concrete parks. 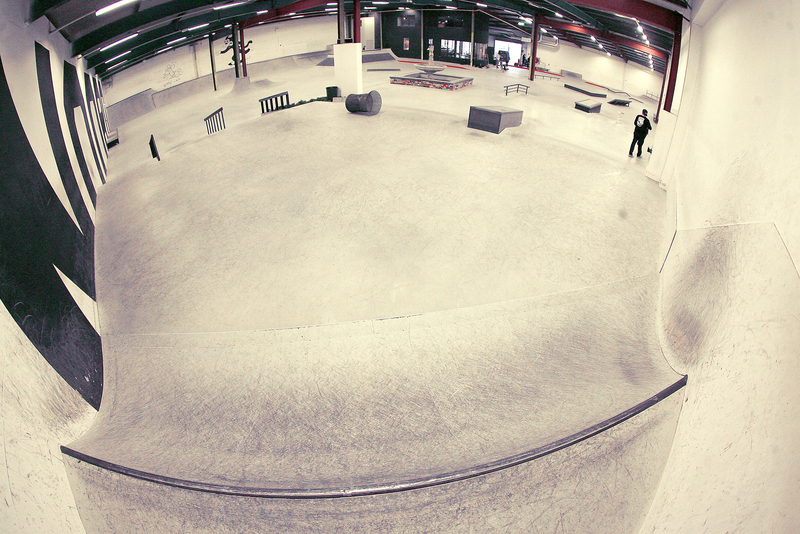 Fitting to the colder season we’re currently in, skaters in our region are often confined to a few indoor parks. Little has changed in this respect within Germany in the last few years. Of course, the amount of indoor parks could be much worse. It’s crazy to think that in the nineties, German skaters really only had indoor parks in Mönchengladbach, Münster, and Hamburg. Luckily, we now have several indoor parks spread around but we could certainly use some more! Especially parks where we don’t have to share the park with BMXers, scooters, and inline skaters. These groups certainly contribute greatly to the financial survival of many parks, but this brings along two hugely negative factors for skateboarders. Skateboarding alongside scooters and bikes just doesn’t work very well. Kids on scooters very rarely understand the general “flow” of the skatepark, leading them to often stand in simply dangerous places or ride obstacles differently than they were intended. BMX riders usually understand this flow better, but they simply use a skatepark much differently than skaters. The greatest problem with this being that a skater-BMX collision is almost always very painful for at least one of the people involved. Inline skaters also use a park much differently but lately they have not been quite as prevalent in the scene. The second negative factor of a “shared” skate-BMX-scooter park is simply the design of the park. A park to accommodate these groups generally means huge quarter pipes, spines, or big kicker ramps for riders to fly out of. Even if the park was designed by skaters, the general response from the park designers and operators is, “yes, but we have to build something where everyone can have fun”. The result is that it’s terribly rare to find a truly skateboarding-oriented park in our latitudes. 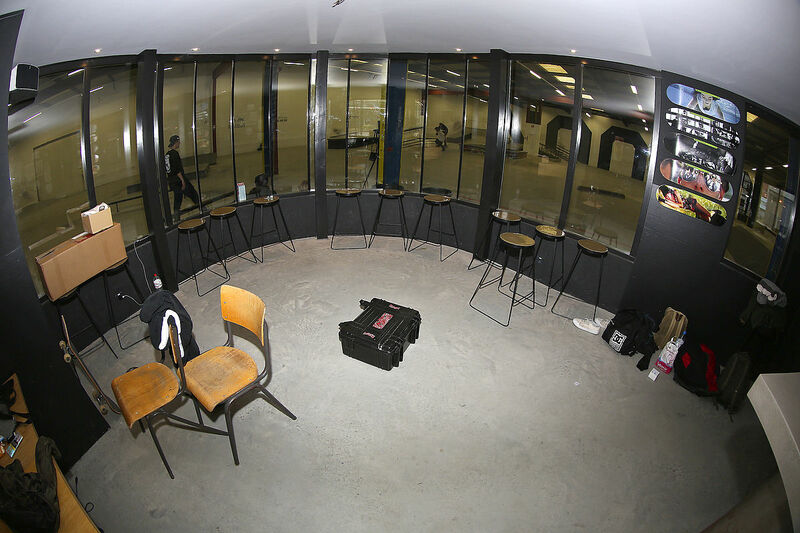 One of the only examples of a true skateboard park in our region is the Shelter in Berlin. Luckily, there are enough skateboarders in Berlin to keep the park alive financially. Things seem to be quite different with our Dutch neighbors, at least it often feels like it. Have you ever noticed how many Dutch skaters have joined the pro ranks within well-known US brands in recent years? Wieger van Wageningen, Rob Maatmann and Daan van der Linden are just a few names that come to mind. This has us asking ourselves “Why does a nation with only 17 million people seem to produce so many amazing skaters?” One reason may be the modern and skateable architecture found in Dutch cities. However, the streets and sidewalks certainly seem to have just as many rough and un-skateable bricks as Germany. So, it very well could be the incredible skateparks that the Dutch have scattered across the Netherlands. Plus, many Dutch skaters are not just contest/park rippers – they put out some amazing video parts too! Speaking of great street video parts released by Dutch skaters, notice the implementation of “real street” elements at Dutch skateparks. These elements provide the perfect training ground for skaters to practice on before bringing mind-blowing ledge and rail tricks to the Dutch streets and beyond. 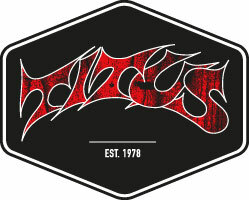 Additionally helpful is when the obstacles are made of the same materials that skaters search for in the streets, i.e. smooth concrete and marble. Such is the case at the NOORD park. When looking at the overview pictures of the park, it might appear to be quite empty. 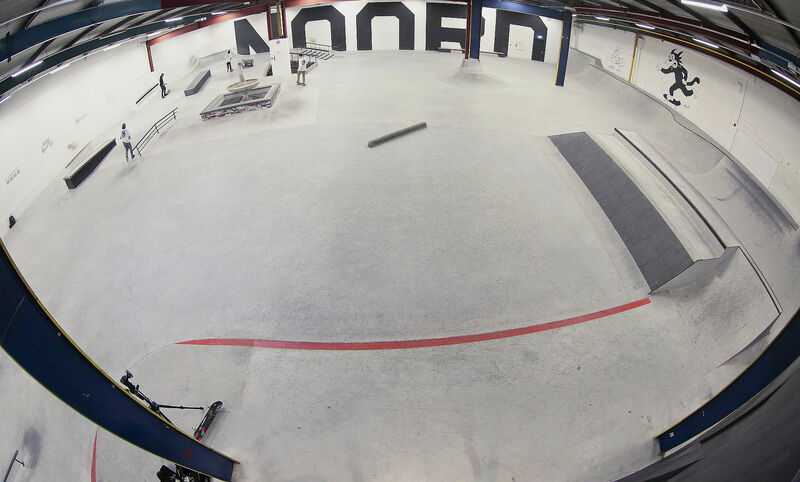 This can be subjective, but what you’ll soon find when skating there is that it’s been carefully designed to fit the space proportionately. Sometimes less really is more. Having open space in the park makes it feel much larger and more comfortable, not to mention having some area to skate flat. 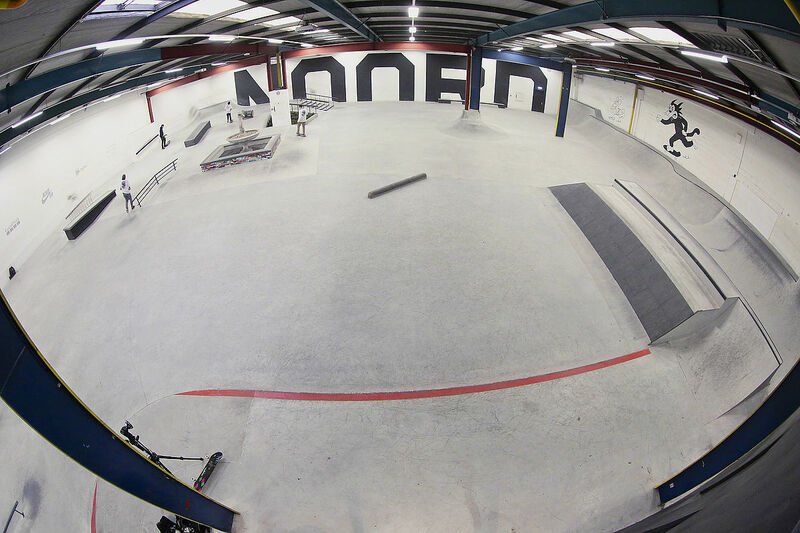 In addition, the obstacles at NOORD are kept pleasantly flat with the intention always being to recreate actual “street spots” as closely as possible. The “real street” feel has been perfectly achieved down to the last detail here in Amsterdam. For example, the trash can found in the park is absolutely identical to the iconic cans found in Philly’s LOVE Park. The ledges and curbs are made from exactly the same material as the famous ledges at MACBA in Barcelona. The white handrail/ledge with the columns is a replica of the Synagogue rail in Miami. The banks that Mika does a Fs Boneless on are modeled after the “Gorge de Loup” banks in Lyon. Even the red curbs are the same as those found in LA. The smallest attention to detail was made in the skatepark NOORD design, leaving absolutely nothing to be desired for a true street skater! We can offer directions heading from Germany towards Amsterdam. We drove from Münster through Enschede and basically just followed the signs towards Amsterdam. But, of course this is not the case from everywhere, so you should have a map before you start to prevent making 3 detours on the way. 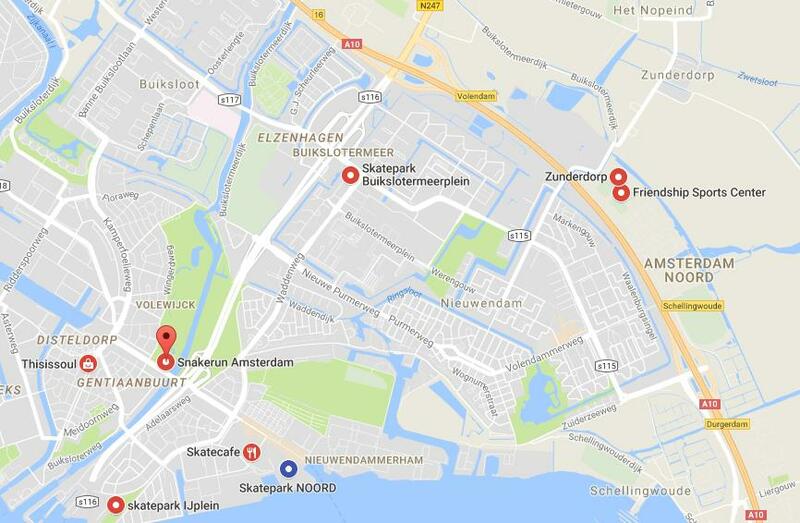 Once you’ve reached Amsterdam, take the A10 ring in the direction of Amsterdam Noord. Then, take exit “Volendam”, turn left, and follow Nieuwe Leeuwarderweg(s116) for approximately 2 kilometers. Then take exit Noord s118 again, turn left again, and drive through the industrial area for about one kilometer. Shortly before the end of Johan-van-Hasseltweg road, turn right and take the next left where you will arrive in front of a large car park with barriers. The park is on your right in the corner of the building. Arrival by train is surprisingly fast and uncomplicated. From Münster, you need approximately 3.5 hours including the bus ride from the main station in Amsterdam. This time is not much different than by car. The same also applies if you get the train in Cologne. From Amsterdam Centraal, you do have to walk a few hundred meters to the bus stop, but this isn’t boring in the beautiful city. Then, take the 32 bus from Amsterdam Centraal in direction Buikslotermeerplein, get off at Johan van Hasseltweg and walk (or push) about 700m. This can be a bit annoying in bad weather, but think of what awaits at the indoor park! The NOORD park offers a very nice café and a decent bar on site. 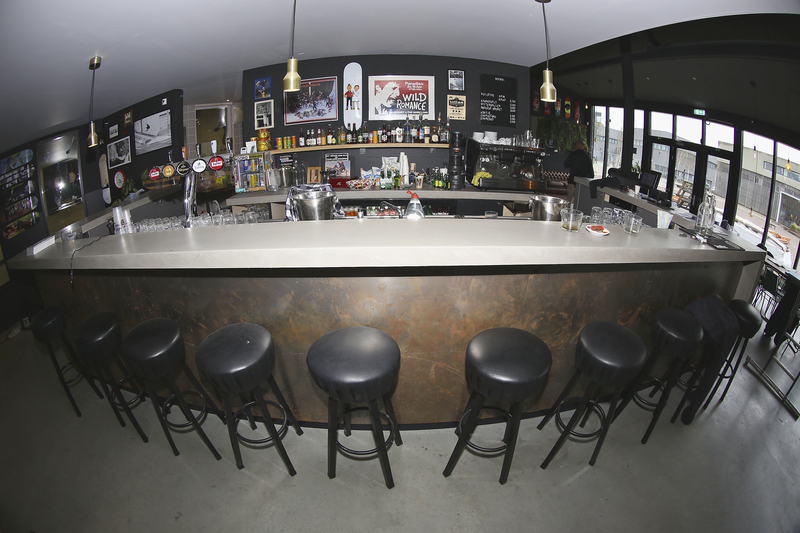 Here, you will find beer on tap as well as a variety of café snacks. It’s also very cool that you can watch the park from a seating area behind glass. If you’re looking for something more to eat, there’s a Jumbo supermarket just a few hundred meters down Gedempt Hamerkanaal. You can even get a freshly prepared meal at small "stands" in the supermarket such as pizza and sushi; all at a very moderate price. You can then eat in an adjoined dining area. We had never seen such a set-up before and our whole group thought it was really nice! We can personally say that our day trip from Münster to Amsterdam NOORD was more than worth it. We were in the car for about 6 hours total but got to skate a super modern park that offers something awesome for both young and old. Not to mention, a trip to Amsterdam alone is always a lot of fun! The park operators are extremely friendly and we felt very welcome from the beginning. Everyone in our group loved the park and being a part of the trip. A special thanks goes out to Rob Roulaux who gave us access to the park on a closed Monday. We’ll definitely be back!